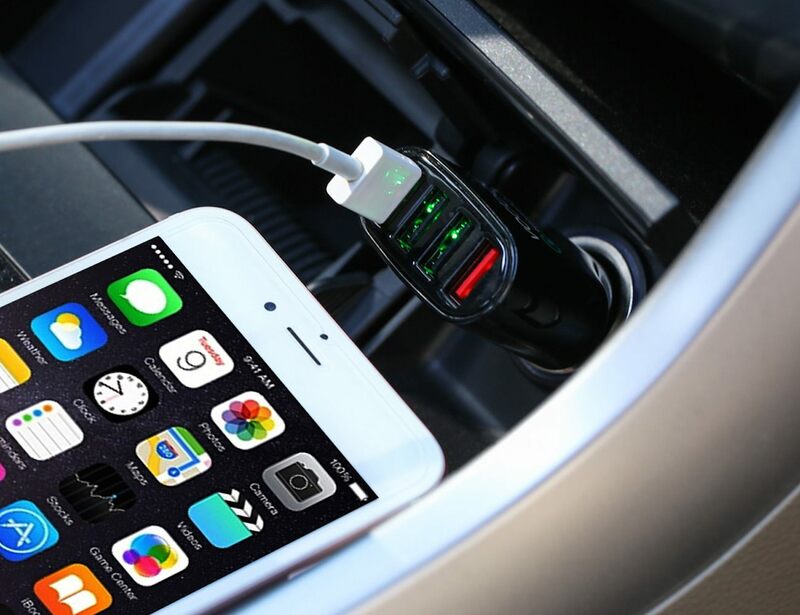 Featuring a high 2.4A power output, this useful car charger allows you to charge your high power devices like an iPad or tablet. 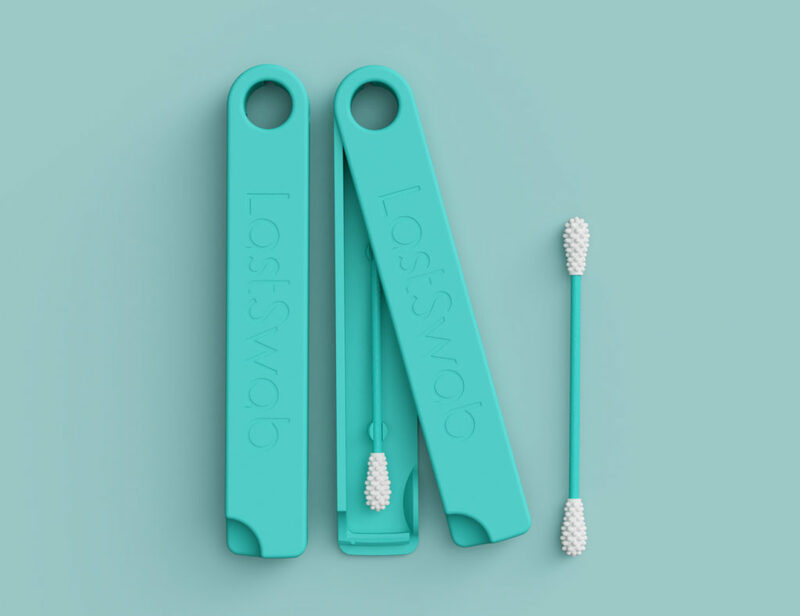 Just 15 minutes of jumping rope with the PULSE Jump Rope will give you two hours of power to light up a lamp (as well as a fit body!). 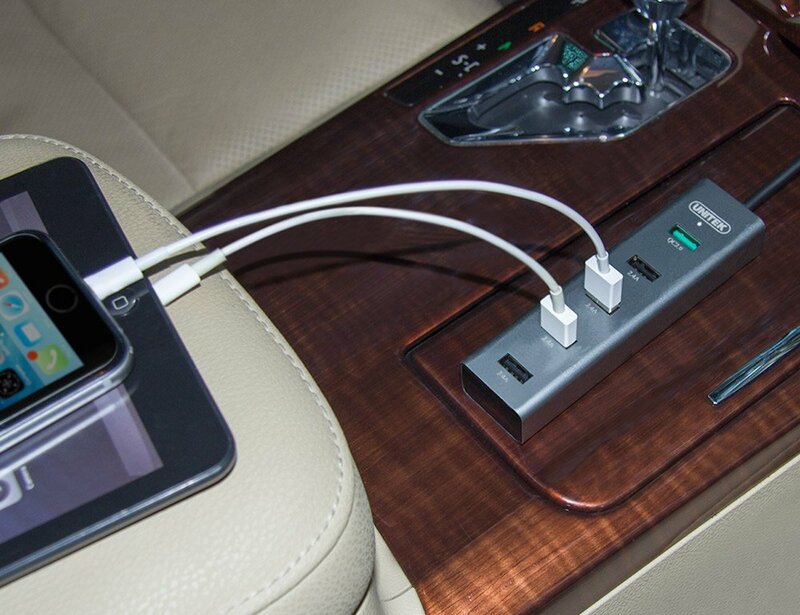 The T-BONE is an All in Car Charger is great for travelers or anyone who spends time in the car. 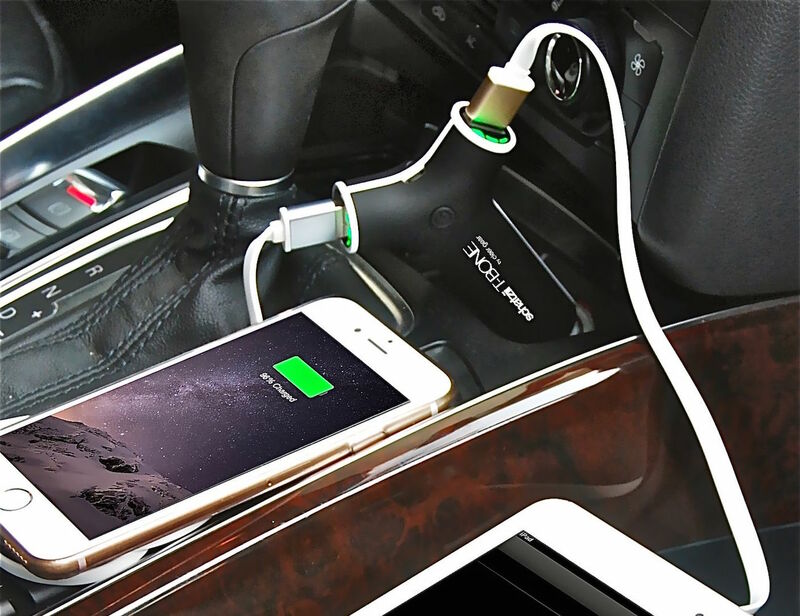 It fits all standard 12v /24v cigarette-lighter sockets and transfers Qualcomm Charge 2.0 enabled devices up to 75% more power than the conventional charger. 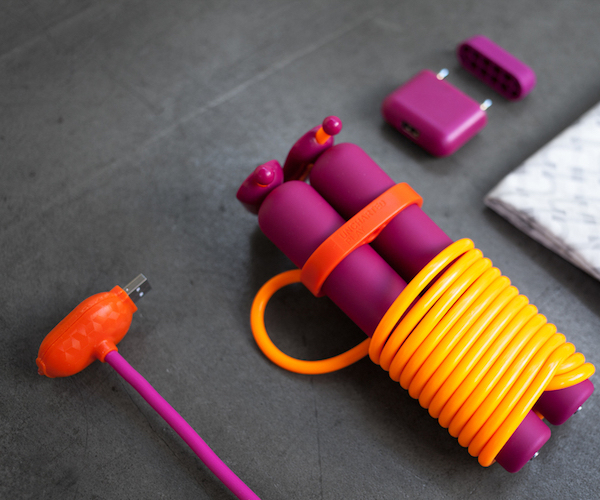 The Turbo Jetts also come with a charger for the 12v lithium-pack battery. 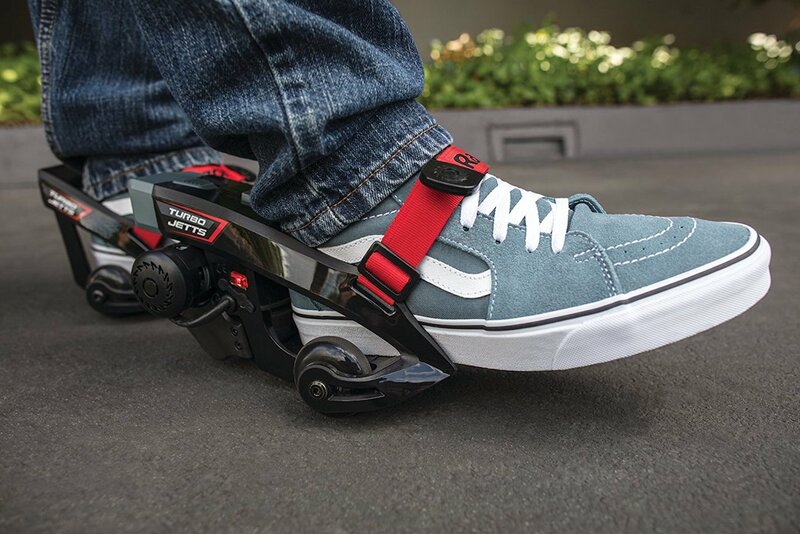 Furthermore, the wheels fit U.S. shoe sizes from youth 12 to adult 12. 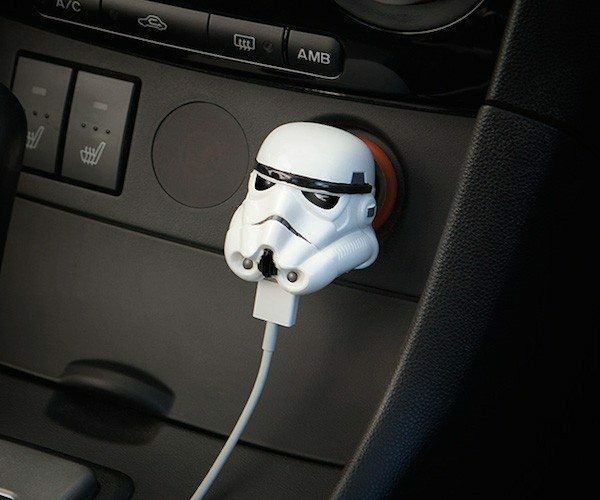 Let the Dark Side power up your gadgets with this Stormtrooper USB Car Charger.